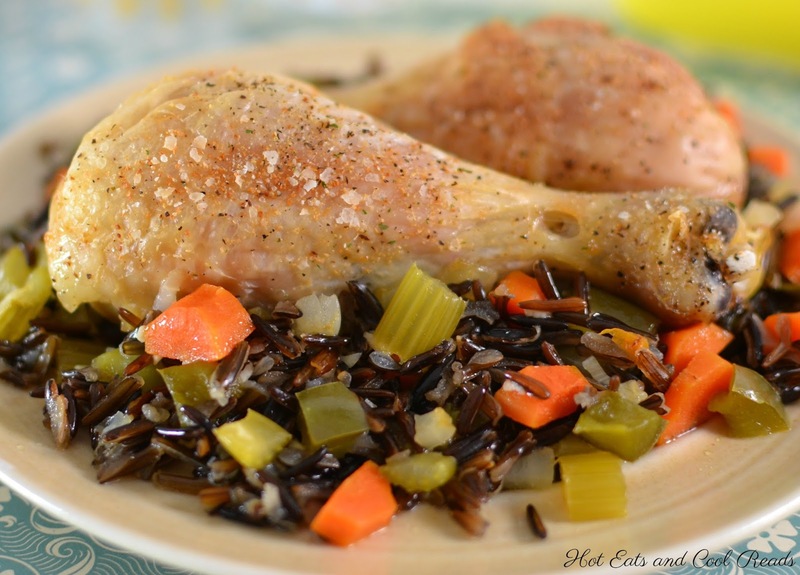 A delicious wild rice and vegetable blend including carrots, celery, green bell peppers and onions! The chicken is roasted perfectly and this recipe is healthier too since it's made with NO cream soups! Fall is my absolute favorite season of the year. 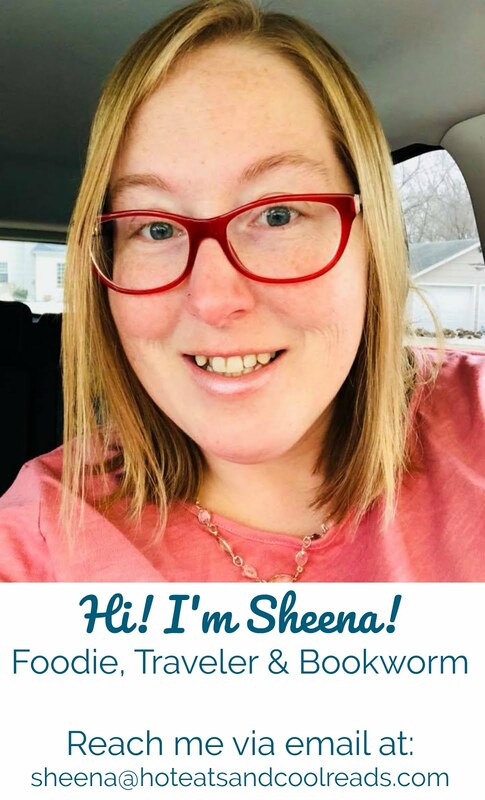 I love the gorgeous trees with their leaves changing colors, cooler temps, sweatshirts, soups and best of all, comfort foods. 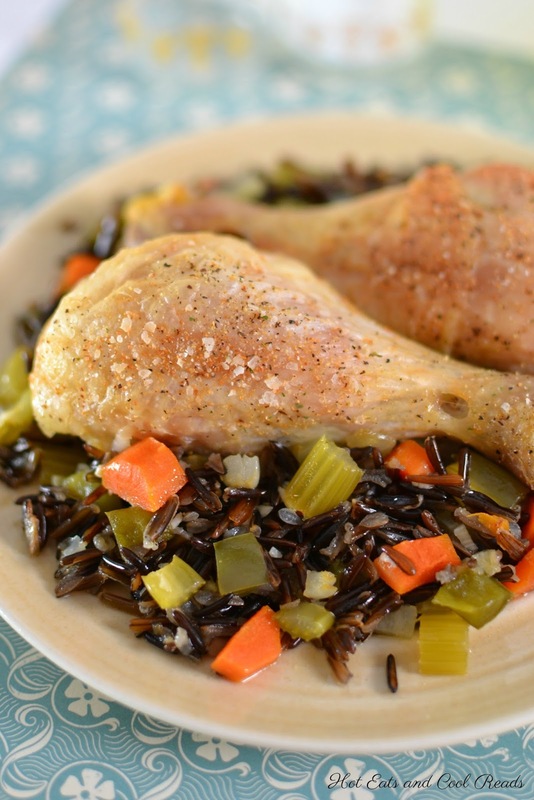 Wild rice has always been a comfort food to me. Whether it's in a classic Minnesota hotdish, porridge, soup or baked recipe like this, I love it all! Wild rice is plentiful in Minnesota, as it's harvested on the Native American Reservations and other rural areas. It's available at souvenir shops, gas stations and of course the local grocery stores. I have super fond memories of my Mom cooking with wild rice, and now my daughter loves it just as much as I always have. I love sharing tried and true recipes from my childhood with her, and also new favorites like this Wild Rice Baked Chicken! This dish is on the lighter side since we used a broth base instead of a cream soup base. 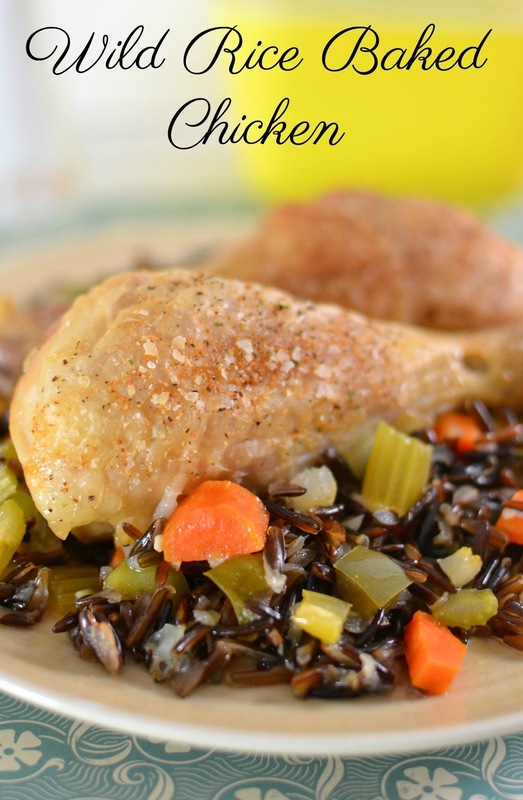 The different vegetables and the juices from the chicken give the wild rice a deep and enjoyable flavor. We chose to use chicken drumsticks since they are my daughters favorite, but chicken thighs or bone in breasts would be just as tasty! You can also use a different variety of vegetables depending on what you have on hand! 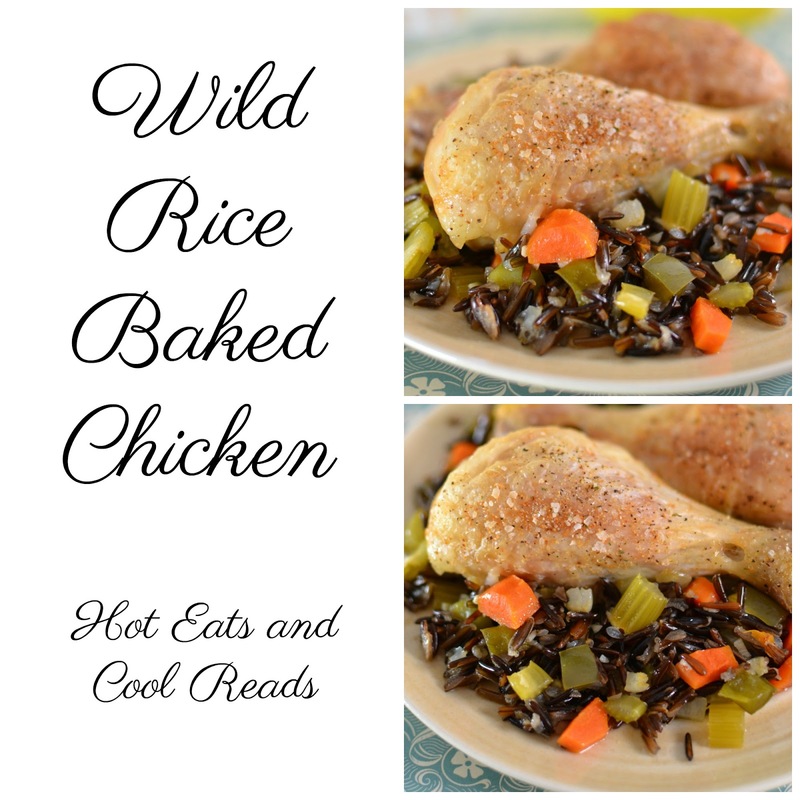 If you love wild rice, stop over and check out some of my other favorite wild rice recipes: Creamy Wild Rice Cranberry Soup, Ground Beef and Wild Rice Alfredo Skillet, Blueberry and Wild Rice Breakfast Bowl, Hell's Kitchen Inspired Mahnomin Porridge, Mushroom and Wild Rice Scrambled Eggs, Wild Rice Pancakes, Marge's Chicken Wild Rice Soup from Grand Casino MN or Minnesota Wild Rice Hotdish! Click the recipe title to head over and see them! I hope you and your family enjoy this recipe as much as we did! In a bowl, thoroughly wash wild rice in warm tap water, rinse and drain. Pour into a 9x13 glass baking dish. Add celery, green pepper, onion, carrot and garlic to the wild rice. Season lightly with garlic salt and pepper, and mix to combine. Pour chicken broth over rice mixture. Season chicken with garlic salt and pepper, then place chicken on top of the rice mixture. Bake for 1 hour 30 minutes, or until rice is tender. I made this all in one go and it was super easy (no actual cooking, just mix and bake) and a nice weekday dinner with some vegetables on the side. In fact, I don't see the point in freezing this, when I made it in about 5 minutes. I will make again.